You have arrived at the official online source for everything about Anne Stuart and her work. Here you’ll find a wealth of information to help you find out about her latest new releases, the reissues of her earlier titles and keep you up to date on all the latest happenings. A love neither of them wants, and a passion so strong it could burn down the world. They’ve met before, but he doesn’t remember, and she doesn’t want to. Now someone is trying to kill her, and he is the one man who can save her. Exciting news! Anne has finished the final book in the Wicked House of Rohan saga, Heartless. Emma, the former bordello owner, and Brandon, the ruined youngest son of the Rohan family, meet again, and through sheer grit find their happy ending. 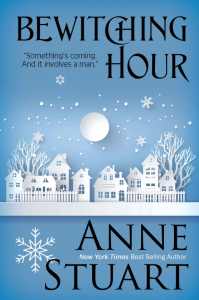 The classic Bewitching Hour has been released as an ebook with a gorgeous new cover while two classic Anne Stuart novels were recently released as ebooks for the first time ever: the paranormal romance, One More Valentine and the contemporary romance Banish Misfortune, (unavailable since 1985 and now titled When the Stars Fall Down). 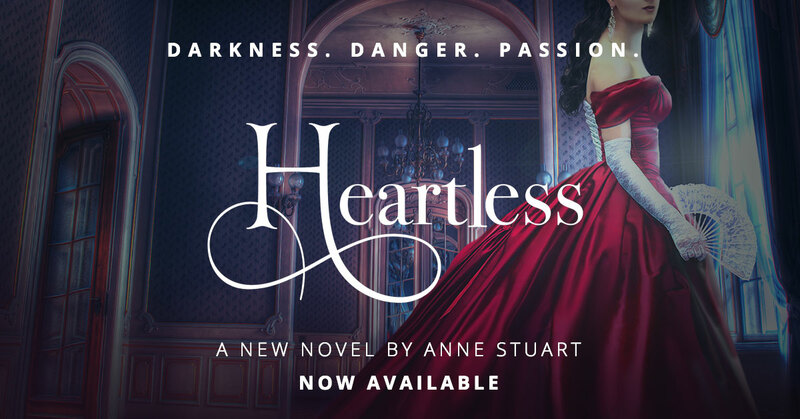 Sign up for the Anne Stuart mailing list to be notified when more specials pop up and when new ebooks become available for download!